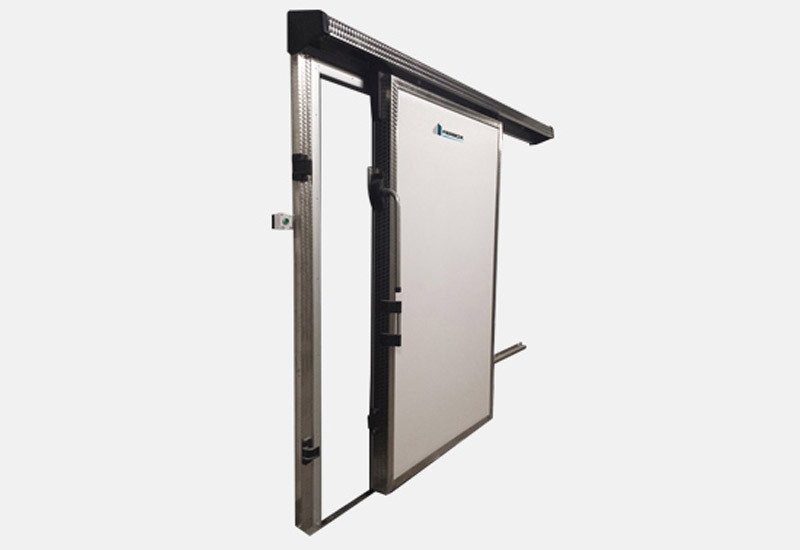 Standard version is built with polyurethane foam shutter mm 68 thick, white pre-painted plate finish, without door frame, swing-out door edge and anodised aluminium upper sliding slot, PVC fixed tubular inox handle. 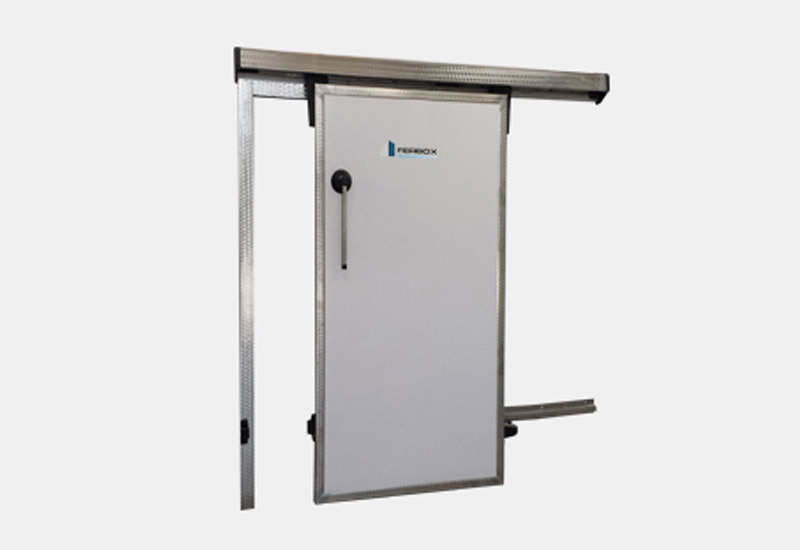 Standard version is built with polyurethane foam shutter mm 68-92 thick, white pre-painted plate finish, with tough PVC door frame, swing-out door edge and anodised aluminium upper sliding slot, PVC lever tubular inox handle. 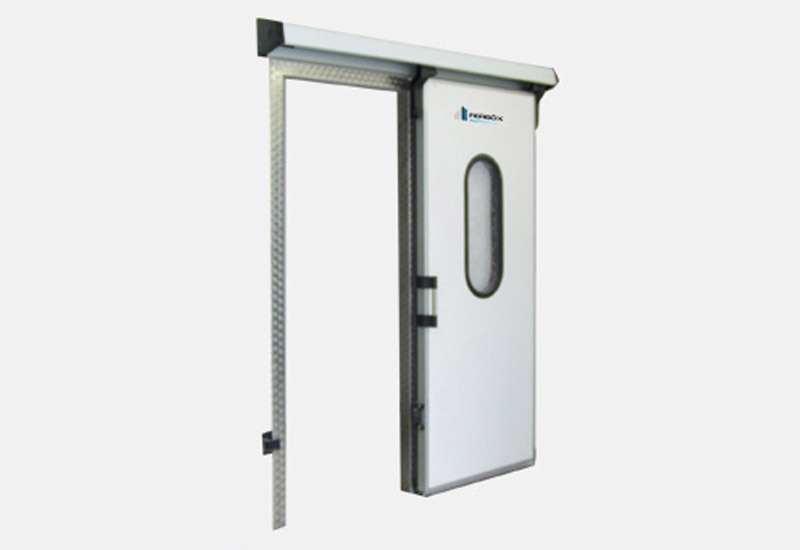 Standard version is built with polyurethane foam shutter mm 121 thick, white pre-painted plate finish, with tough PVC door frame, swing-out door edge and anodised aluminium upper sliding slot, PVC lever tubular inox handle and 230V anti-condensation system incorporated into the frame. 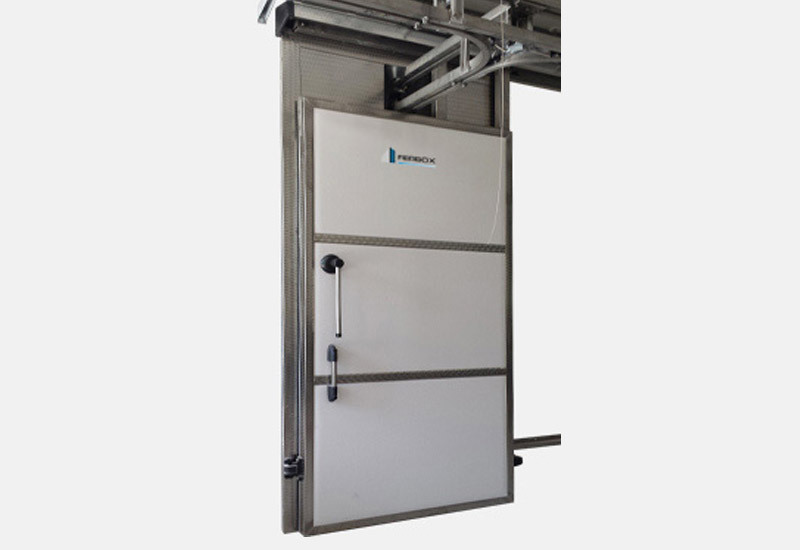 Standard version is built with polyurethane foam shutter mm 92 thick, white pre-painted plate finish, with tough PVC door frame, swing-out door edge and anodised aluminium upper sliding slot, PVC lever tubular inox handle and upper slot for the conveyor.